Dreaming of bringing your dog with you to work, dog parks, cafes, or on trips? Want relief from a lifetime of bad housetraining and chewing habits? This all starts in puppyhood. Invest in your puppy’s future! Lay the foundation today. Group classes or Private in-home lessons? Group classes or private in-home sessions? Group classes – Group classes are great for puppies! They combine socialization experiences with training and all the puppy knowledge you will need. The group format also lowers cost and makes for great social encounters. You get more bang for your buck! Private in home services – Private sessions are great for people who have difficult schedules and can`t make it to a weekly class. They are also ideal for owners looking for tailor-made sessions aimed specifically at their puppy’s needs. The beginning of a new story! Watch your puppy make friends and flourish as we help you write the first pages of her life’s story. Our stimulating classroom environment will provide new adventures and opportunities to learn vital skills. With Bravo Fido, the first chapter of your life together will be a tail to remember! Puppy playtime – fun for dogs and owners alike! At Bravo Fido, we limit class size so we can give more attention to each of our students. We want you to succeed and to get all the knowledge and support you need. We’ve been in the field for many years. Through those years, we’ve worked with all types of dogs, big and small and faced all the behavioral issues dogs can experience. We also worked with hundreds of puppies in varied puppy mill seizures and as such, we can spot problems very quickly and set you up right away to minimize future impacts. Puppyhood is vital to your dog’s future. Work with us for success! Location: Centre Vétérinaire Laval (4530 Autoroute 440, H7T 2P7) in Laval. First class is without puppies and is mandatory. Puppies must be under 16 weeks old at the time of the first class. Your puppy must be in your home for at least 10 days before his or her first class. 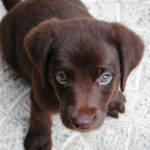 Your puppy must have a minimum of one set of vaccines at least 10 days prior to the first class. Bring your puppy’s vaccination records to your first class. If you do not bring them, we cannot admit your dog to class. Classes are meant for puppies to learn and enjoy themselves in a safe environment, not for working on aggressive behaviors. If your puppy is not having a good time and/or is upsetting other puppies, you will be asked to continue in private lessons. Why bother with puppy socials? Why not go to the dog park? Professionals on hand . . If you want your dog to be a dog park regular, a Bravo Fido puppy social is the place to start. Live outside our territory? Here are some guidelines to help you choose a puppy school. Experienced trainers – often, schools allow young trainers to practice on puppies since there is little danger of aggression. 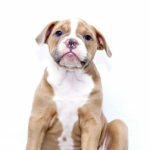 However, puppies need experienced trainers on site to identify any issues and nip them in the bud. Food should be present. The fastest way to positive experiences is usually through a puppy’s stomach. You could use exposure alone, but why handicap yourself? Socialization should be encouraged. Puppy class is designed to provide positive controlled exposure to other dogs, people and objects. No choke or slip collars, yelling, or jerking your puppy. Bad experiences carry a heavy weight at this age; there is a reason traditional obedience schools used to only start classes around 6 months of age. This is our bare bones package that will touch on all the basics of puppy training. If you’ve had prior experience with puppies and just need a refresher or have one simple problem, this package is for you. For help with: basic housetraining, chewing, mouthing, socialization, crating and making sure you are up to date on current dog training techniques. The puppy primer will equip you with all the tools you need to raise a great dog. For help with housetraining, basic obedience, chewing and mouthing, socialization, crate training. This package can include a pre-puppy consult to puppy proof your house and get you ready for p-day (puppy day)! It will also equip you to read your puppy’s body language and learn about proper dog play. The puppy primer is a must for any puppy owner. This package will keep your puppy on the right track into adolescence. We will personally follow your puppy from pup to teen ensuring they are hitting all the right developmental markers on their way. It is integral that this begins in early puppy hood as the most important developmental milestones occur before the age of 12 weeks. Most owners also face challenges as their once perfect puppy moves into adolescence around 6 months of age, we will be there to guide you every step of the way. This package will cover everything you need to know to create your good dog! This package is aimed towards puppies 8-12 weeks old and must be completed before your puppy turns 1 year old. Weeks 1-3 8 to 10 weeks old 2 x 1hr training per week (6 hours total) Twice weekly sessions to ensure we capitalize on your puppy’s socialization period. Weeks 4-11 11 to 18 weeks 1 hr training per week (8 hours total) One hour a week keeps you on track as you complete your puppy’s socialization period. Weeks 12-21 5-7 months 1 hr training every 2 weeks (5 hours total) With the solid foundation we’ve built, the beginnings of adolescence should be a breeze. Weeks 22-27 7-9 months 1 hr training per week (6 hours total) We go back to weekly sessions to take care of any complications encountered in adolescence. Live outside of our service area? We can still help. Contact us to set up your evaluation consultation. Puppies are babies – not just mini dogs! Puppies seem deceptively easy. They are cute, cuddly and most serious behaviour problems won’t become truly apparent for another few months. However, now is the time to start the work to make sure everything plays out right. If you ask a new puppy owner what are the most important topics to address, you will get answers like housetraining, chewing, and obedience. If you ask a professional trainer, you will get a very different answer: socialization and bite inhibition are the key topics to address. In fact, service dog organizations spend a good part of the early weeks ensuring their puppies get enough. Why are these two things so important in the early weeks? Both are time sensitive, meaning that if you miss this special period you will be playing catch up for life. Also, these two often help determine how well your dog will integrate into modern human society. Why do we care about socialization? The socialization period is the sensitive period between the ages of 3 weeks to approximately 12-18 weeks (this may vary by breed but the earlier the better) when your dog is especially sensitive to new experiences. These weeks have the most impact on your dog’s future behaviour. Without socialization, dogs tend to become fearful of new experiences. Fear is at the root of most serious behaviour problems, especially aggression. We ask a lot of our dogs: go places without knowing where, stay home alone, meet and be nice to every dog and person and get grabbed unexpectedly. Since fear is the default for a dog without proper socialization, all these experiences may often remain scary. No, exposure is important but so is the quality of those experiences. We will show you how to get the most bang for your buck with socialization and how to avoid inadvertently scaring your puppy and undoing your work. Those sharp puppy teeth are there for a reason. Bite inhibition refers to a dog’s ability to control the pressure exerted by its jaws. It is no accident that puppy teeth are sharp and needle-like. They are designed that way to cause pain when puppies chomp too hard thus ending the fun. This ensures puppies learn to safely use their jaws in play before they have the strength to do real damage. Bite inhibition is important for all social behaviour and has to be learned in puppyhood. A dog with good bite inhibition can rest his jaws on you without leaving a mark. At Bravo Fido, we will get you relief from puppy biting, while teaching your puppy bite inhibition, all without having to raise your voice or dole out physical punishment. Puppies chew! It’s a necessity. They explore the world this way, learn about the strength of their jaws and find relief from discomfort when teething. Puppies chew a lot but even an adult dog needs a good chew. It’s a great way to burn energy, keep your dog quiet and busy, plus it’s a good stress reliever and cleans teeth. Build a good chew habit today! Help your dog develop the habit of chewing on dog toys and not people stuff. If your dog learns at an early age that chewing his dog toys is awesome, he will preferentially chew these. It is essential during this early learning that your pup doesn’t have unsupervised access to all your valuables. To an uneducated dog, all your fancy stuff has no value unless you can chew it. They have no concept that your shoes or even leather sofa are off limits. They only know that it feels good in their mouths. Help your dog get it right from the start and avoid expensive mistakes. Call Bravo Fido. Many new puppy owners are daunted by the amount of bodily fluids their fur babies can excrete. This is normal and we can help. I’ve heard people talk about socializing an adult or adolescent dog: can I do it later? You can continue to expose your social dog to a variety of experiences to keep their social skills strong. However, the socialization period is special and limited (approx. 3-18 weeks). If you missed your dog’s socialization period, don’t give up. There is still lots we can do to help expand your dog’s world. Don’t delay any longer, even though the socialization period is over, it is generally accepted that the earlier you start the better. Will socialization ensure my dog never has behaviour problems? There are no guarantees with behaviour but you can stack the odds in your favor! Genetics and early experiences play a large role in your dog’s development and future behaviour. 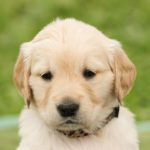 If you haven’t yet chosen your puppy, contact us today to help. If you have already acquired your puppy, socialization needs to start now! The clock is ticking. Give us a call now to set you up for life. Is it safe to expose my puppy to other dogs? Balancing disease risk and socialization is a valid concern. As a general rule, know that you can take your puppy places but be careful not to put him down where other dogs have peed or deposited feces to minimize contamination risk. Please discuss your concerns with your veterinarian. I didn’t do anything special to socialize my last dog and he still turned out alright. Why should I bother? Genetics are also at play since some animals are biologically programmed to be a bit more pro-social or less fearful. The rundown is: don’t leave it up to luck. We also bet that even though you remember your past dog fondly, there were still things that scared him – nail clipping, vet visits, car rides and so on. Those can all be conditioned from an early age to be enjoyable experiences. I want my puppy to bond to me only, should I limit the number of people he meets? No. We have heard of a backyard breeder who intentionally didn’t allow her puppies to meet people during their socialization phase. These dogs are in for a lifetime of fear and worry. You can ensure your puppy will bond to you by providing him with necessities and entertainment. I want a watch dog/guard dog, should I limit his socialization? We would not recommend this. In all likelihood your dog will still bark when visitors come to the door. This is enough of a deterrent to most invaders. A fearful dog is a liability – they are just as likely to bite your child’s friend as an intruder. Dogs can’t distinguish friendly strangers from dangerous ones. Are puppies just small dogs? No, puppies are baby dogs. They have limitations such as short attention spans and lack of bladder control. They also have special skills they need to develop like self-soothing behaviour (every moment prior to you bringing your puppy home may have been spent in the company of another dog), bite inhibition, and social abilities. They are also especially plastic at this age and exposure to positive experiences is paramount. No one used to do puppy classes. Why is it now a necessity? Simply put, we didn’t know how important those early weeks were to a dog’s development. We also ask a lot of our dogs these days and lead much less stable lives. Our lives are also busier meaning we are out of the house more and many people live alone so puppies won’t naturally come into contact with many of the things they may have encountered in a busy family. You may not think that matters much, but dogs live a good 10-15 years and your life may change drastically during that time. Why not just socialize my dog to other dogs at the dog park? Dog parks can be chancy with puppies. They cannot be sanitized and parvo (a serious puppy illness) can live in the soil for over a year. In addition, not all adult dogs like puppies or are safe around them. Some dogs will also bully smaller or fearful dogs without intervention, exposing your puppy to trauma that could last a lifetime. If you are looking to create a dog park regular, it is best to start in a controlled environment so your puppy can have a solid foundation of safe experiences to build on. I want my puppy to be friends with my young child. Should I allow them unsupervised access? Probably not, we understand it can be tempting but both puppies and young children need supervised play sessions to learn how to interact with each other in a safe and secure manner for both parties. Depending on the age of child or pup, they may not be capable of policing their own behavior well enough yet. I have kids at home. Does my puppy need to meet other children? Yes, your kids will likely be bringing friends over to your house. If you dog only ever meets your child, he may assume your child is ok but those other little martians are dangerous and need to be chased off. Just like your dog needs to meet more than one person to generalize that all people are ok, dogs also need to meet more than one child to make the connection that all kids are ok (this is assuming the kids being met are able to interact with the dog respectfully and not pull tails, jump on, or throw things at the dog).